SeaWorld's days of dodging criticism have come to an end. In the clearest sign yet that the marine park is failing, the company's stocks dropped by over 30 percent after posting "disappointing" quarterly revenue. Supporters of animal welfare were shielded for generations from the dark reality hidden behind SeaWorld's dazzling orca shows. The park routinely misinformed visitors, and only when people stopped to question those claims did they learn an unsettling truth that has now shifted the public consciousness and made an impact. When the documentary "Blackfish" was released in the summer of 2013, many people who saw it were appalled to discover that SeaWorld's animals were suffering so profoundly for the purposes of entertainment and profit. Since then, other revelations about SeaWorld's treatment of animals have come to light, including that whales are drugged, forcibly impregnated at too young an age and exhibit clear signs of emotional and physical distress. As awareness spreads, the marine park has tried in vain to counter the mounting bad press -- but the backlash has only grown stronger. At first, SeaWorld labeled opponents as "radicals," but slipping profits and falling attendance suggest a broader shift in public opinion. "It's a new world now that the world knows what happens there, and SeaWorld will have to evolve fast to survive," director of "The Cove" Louie Psihoyos explains. 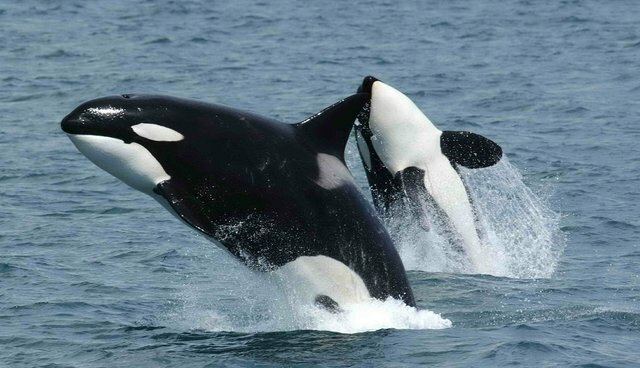 Numerous sponsors have pulled their support and travel operators have dropped SeaWorld from their itineraries. But the marine park has yet to announce a productive change ... of any kind. Given the growing number of voices calling for change, it seems inevitable now that one day the orcas will be released and the marine park's tanks will be drained. As John Hargrove, a former SeaWorld trainer featured in "Blackfish" declares, "They're going to be forced to change, whether they like it or not." This presents SeaWorld with a remarkable opportunity to become a much different type of orca pioneer -- by releasing their orcas and ending captivity for good.